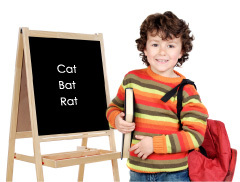 These phonics products have proved most popular for Kindergarten through Third Grade teachers. Tip: Select the teacher's voice CD when the greater clarity of a single voice is needed. Select the children's voice CD to provide a multi-voiced peer model for your students. For an additional $9.95, you can have both the teacher voice CD and the children's voices CD included with your combo, supplying more variety for your students by alternating CDs (see "Select CD Voice" below). For additional information, please see our Volume 1 Product Description and Online Samples. For additional information, please see our Volume 2 Product Description and Online Samples. For additional information, please see our Volume 3 Product Description and Online Samples.